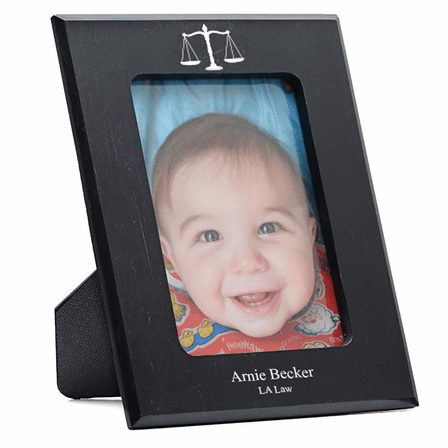 FEATURES/SPECS Made of solid black marble, this lawyer/legal theme picture frame is a great thank you gift or recognition award for your favorite legal professional. 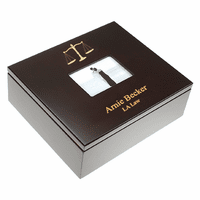 It holds one five by seven inch photograph behind a clear protective lens. 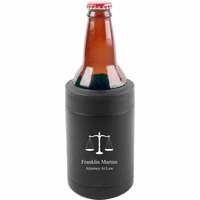 Below the picture, along the bottom panel, is a laser engraved symbol of the legal scales, the symbol of justice. 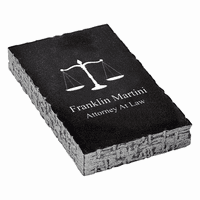 Add your own custom laser engraved inscription to the right of this free of charge, perfect for a name and job title. 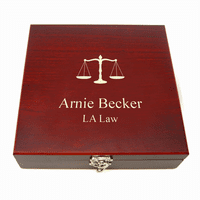 This customized picture frame for lawyers will be a welcome addition to any counselor's office or desktop.